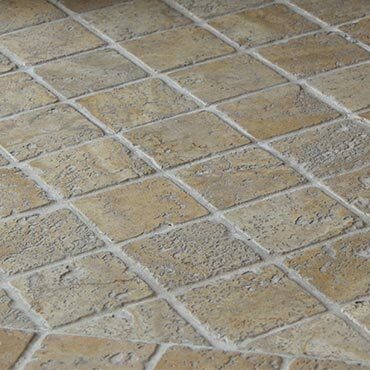 Just as marble, travertine and other natural stones can be honed and polished to add a touch of refinement, they can also be tumbled and distressed to look more aged. This is the secret behind Tumbled Stone. It's a modern recreation that captures the romantic look of stone from centuries past. Tumbled Stone's weathered surface and seemingly timeworn edges lend an air of rustic elegance to any home.